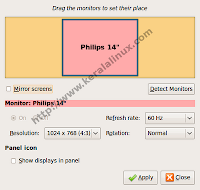 X Rezise and Rotare (xrandr) is a utility available in your Linux system for reseting and resizing your screen resolution. It is a command line utility. so if your display disapperaed ?? No problem you can do it from a Terminal (Press Ctrl+Alt+f1). CPULIMIT is a very good utility, this can be utilized for limiting the cpu usage of a process. Limits are expressed in percentage, not in cpu time. This does not act on the nice value or other scheduling priority , but on the real cpu usage. System administrators can effectively use this for avoiding there headace. The % limit from 0-100 for single processor 0-200 for dual processor. * -p : Process PID. * -e : Process name. * -l : percentage of CPU allowed from 0 to 100 for singe processor. * -P: absolute path name of the executable program file. How can you Setup a Static IP Address from command Line. First You have to remove Network Manager . You can Change your User Password and Profile easily in Ubuntu. You can Change your profile also from this screen. For Changing Profile Picture Click on the picture at left top corner and change with your own photo. Workrave is a Free Software that assists in the recovery and prevention of Repetitive Strain Injury (RSI). The program frequently alerts you to take micro-pauses, rest breaks and restricts you to your daily limit. It tracks all of your keyboard and mouse activity . It Supports Several Languages. It shows a slide show for exercises. Very useful ans a must for All computer professionals. You can access the preview mode from several ways, right click on the file you want to preview and choose “Preview” or simply hit the Space key on your keyboard. 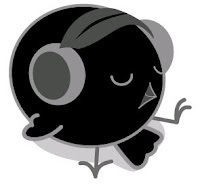 Songbird is a opensource Media Player and a web browser, from the developers of wimamp and Yahoo Music Engine. Songbird is a cross platform utility can be used in Windows, Linux, Solaris and Mac. Like Winamp, it supports extensions and skins feathers. It supports a variety of file formats and is an excellent option for organizing your music files in your system. It is derived from mozilla supports Searching for extensions and plugins. It automatically create a Songbird folder and extract the files in to it. You can add /opt/Songbird/Songbird to your Menu. Ubuntu Security team announced a major security alert to users of Ubuntu On February 5th .The security flaw is found in the kernel of the different versions of Ubuntu. This makes it vulnerable to the system, allowing the escalation of privileges and gain control of the system by an attacker. It is important to resolve it, update your kernel to the latest version available. Something that many have already done but it is worth remembering. The importance of this fact is not in the bug is. It is in how fast it is resolved and as the user community has turned to communicate in all media achievable. Backup of database is very important in Database Projects. You can recover your data when problems occurs. A variety of backup strategies are used in MySQL. You can choose any one of them. This can also use for Installing your Software from One system to Another. This Method is not Distribution Specific, You can Use same command in Fedora, Mandriva, Debian, SUSE etc.. My Heading is for helping Ubuntu users in Search. 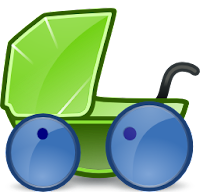 Utility named mysqldump can be used to dump a database or a collection of databases for backup or for transferring the data to another MySQL server. The dump file is a text file which contains SQL statements to create the table and/or populate the table. Now It will ask for password,Enter MySQL admin password. You will be prompted for the MySQL administrator password. 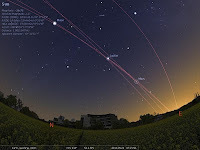 Stellarium is a free open source planetarium Software for your computer. It shows a realistic sky in 3D, just like what you see with the naked eye, binoculars or a telescope. SSHMenu is a GNOME panel applet , that helps you for managing all of your regular SSH connections within a single mouse click. 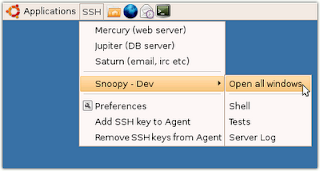 Each menu option will open an SSH session in a new terminal window. imagine if every time you connected to a Critical server the terminal window had a red-tinted background, to remind you to tread carefully. Using terminal profiles, SSHMenu allows you to specify colours, fonts, transparency and a variety of other settings for each connection. You can also set window size and position. 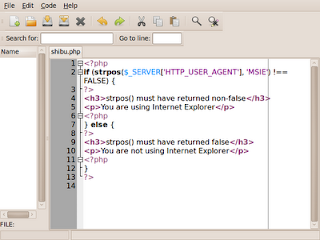 A useful development environment for PHP/HTML/CSS in Ubuntu and other Linux Platform. 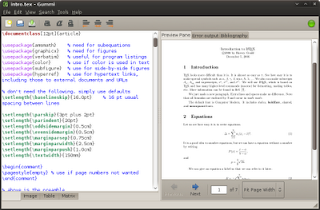 gPHPEdit is a GNOME2 editor for editing PHP files and other supporting files, like HTML/CSS. It has support for drop-down function lists, hints showing parameters, and syntax highlighting. 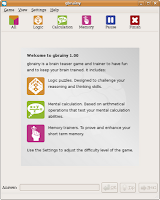 Gbrainy is a Linux Utility to train memory, arithmetical and logical capabilities with many sorts of different exercises of different difficulty levels. It is not only for Kids, It should have something for all ages. It can be used for Develop the capabilities of your Kid, Others who want to keep their mind in form or just try it out for fun, older people can do some memory exercises, etc. * Logic Puzzles: games designed to challenge your reasoning and thinking skills. prove your mental calculation skills. * Memory Trainers: games designerd to challenge your short term memory. swfdec-gnome is a very good Tool to play SWF files (Macromedia Flash) on GNOME. 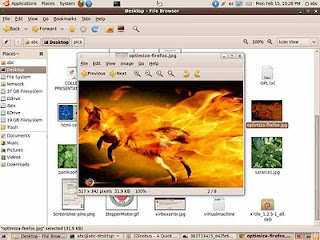 This package contains programs to integrate Flash functionality into the GNOME desktop. 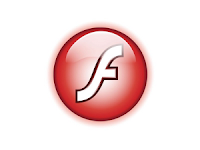 It's main application is swfdec-player, a stand-alone viewer for Flash files. It also contains swfdec-thumbnailer, a program that provides screenshots for files to display in the Nautilus file manager.